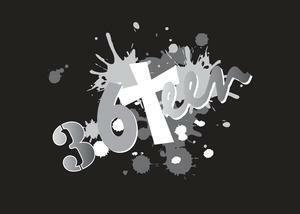 3:6Teen is our small group for high school kids. We meet once a month on Sunday following the 5:00 pm evening worship service for a light supper at 6:15 pm, followed by a lesson. A schedule of lesson nights is posted on the 3:6Teen bulletin board, and meeting times are included in the church bulletin. Other activities are planned throughout the year. We host a Trunk or Treat event in the end of October for our church family. This includes a potato bake supper that serves as a fund raiser to get our youth to Fort Wilderness. Fort Wilderness is a winter camp that area wide Christian Reformed Churches send their youth groups to in northern Wisconsin. It is a weekend retreat of winter fun and worship. We welcome students in grades 9 thru 12 to join us. Contact Tim and Hannah Oezer.